Fabric sure knows how to spoil you Londoners rotten. This Saturday they play host to a jealousy-enducing line up of legendary DJs and legends in the making: In room one you’ve got Craig Richards, Cabanne (live), Jus-Ed and Cassy. In room two is Terry Francis, Chicago’s own Kate Simko (live), and Mike Shannon. And just in case that’s not enough, they’ve also The Amalgamation of Sounds and Larry Heard — Mr. Fingers himself — headlining room three. If you’re in the UK and want a crack at enjoying the show with a friend for free, simply answer this trivia question: On what label and in what year did Larry Heard make his solo debut? Email your answer to editor[at]littlewhiteearbuds.com by Thursday, 10 p.m. CST. One winner will be selected at random from the correct responses. Good luck and enjoy the show! Update: Congratulations to Gwenan Spearing for winning with the correct answer, 1985 on Alleviated Records. Thanks to everyone for entering and stay tuned for more contests like this. Also, a head’s up about the following weekend at Fabric, its birthday weekend. ROOM ONE: Craig Richards, Terry Francis, Luciano, Shinedoe, Martin Buttrich (live), and Ralph Lawson. 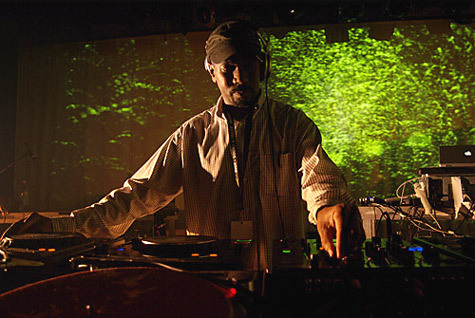 ROOM TWO: Robert Hood, Baby Ford, Mark Broom, and Soul Designer (live). ROOM THREE: Omar-S, Patrice Scott, and Keith Worthy.